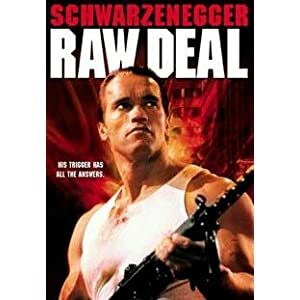 Nobody gives Arnold Schwarzenegger a raw deal. In this film, he stars as a disgraced FBI agent who becomes the sheriff of a backwoods town. He has a chance to get his old job back, but first has to go deep undercover to capture a mob boss. He has to get the trust of the gangster and gather enough evidence to bring him to justice. The film has the expected gun battles and tough talk you expect from Arnie. It's another great action film, but with a few unexpected surprises. At this price it's too cheap to pass up.